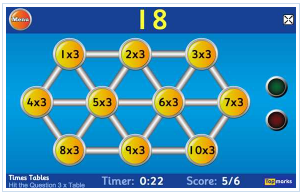 Hit the Button is an interactive maths game with quick fire questions on number bonds, times tables, doubling and halving, multiples, division facts and square numbers. 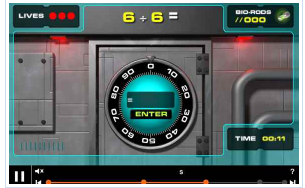 The games which are against the clock challenge and develop mental maths skills. 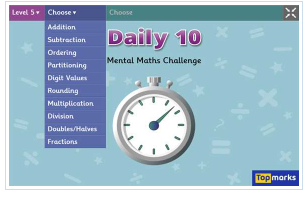 Daily 10 is a primary maths resource which covers addition, subtraction, ordering, partitioning, digit values (place value), rounding, multiplication, division, doubles, halves and fractions. 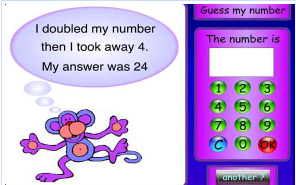 Can you work out these mental maths problems? Lots of questions to get your brain cells working.